Diego and Alberto Giacometti dominated design sales during 2017. In Christie’s Paris sale of the fashion designer Hubert de Givenchy’s collection of designs by the brothers last March, a table by Diego made a record €4.1m. 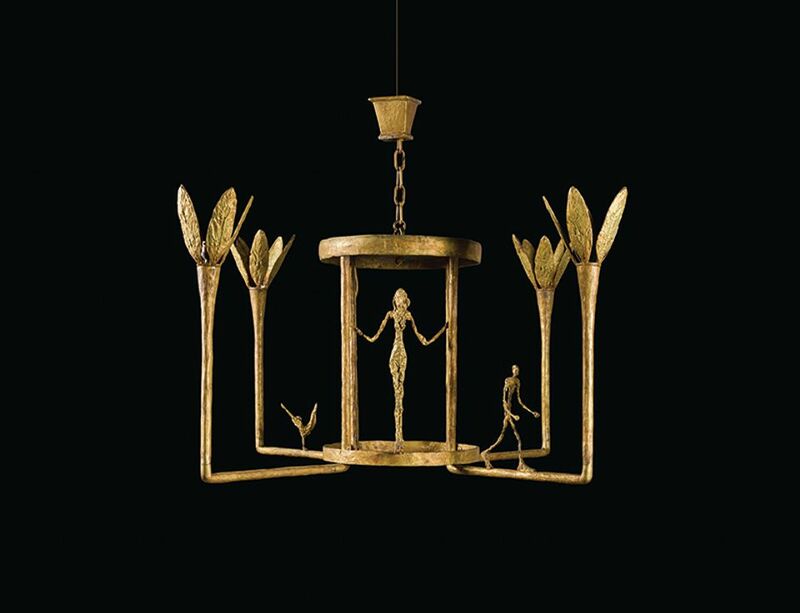 Their designs tread a line between functional design and sculpture, so sometimes show up in Impressionist and Modern art sales, as in the case of a bronze chandelier by Alberto Giacometti at Sotheby’s. Lustre avec femme, homme et oiseau, conceived in 1948 and cast in an edition of three in 1952, is a sort of tableau vivant—the curious dynamic between the figures returning once again to Giacometti’s favoured themes of isolation and vulnerability. Estimated at £6m-£8m, it is one expensive existentialist light fitting. Over the past 40 years, the Los Angeles-based, Hong Kong-born antiques dealer Joel Chen has accumulated an adoring following of Hollywood celebrities and design enthusiasts eager to buy a little of his eclectic eye. Chen’s tastes stretch from intricate traditional Asian art and furniture to the clean lines of mid-century Scandinavian designers like Finn Juhl and Hans Wegner. Cult followings have helped such collections achieve strong results, and Christie’s is again adopting its dual-approach to such “personality” auctions—the sale in New York will be accompanied by an online auction (7-14 February) of lower-value pieces, together amounting to 300 lots estimated from under $1,000 to $70,000. 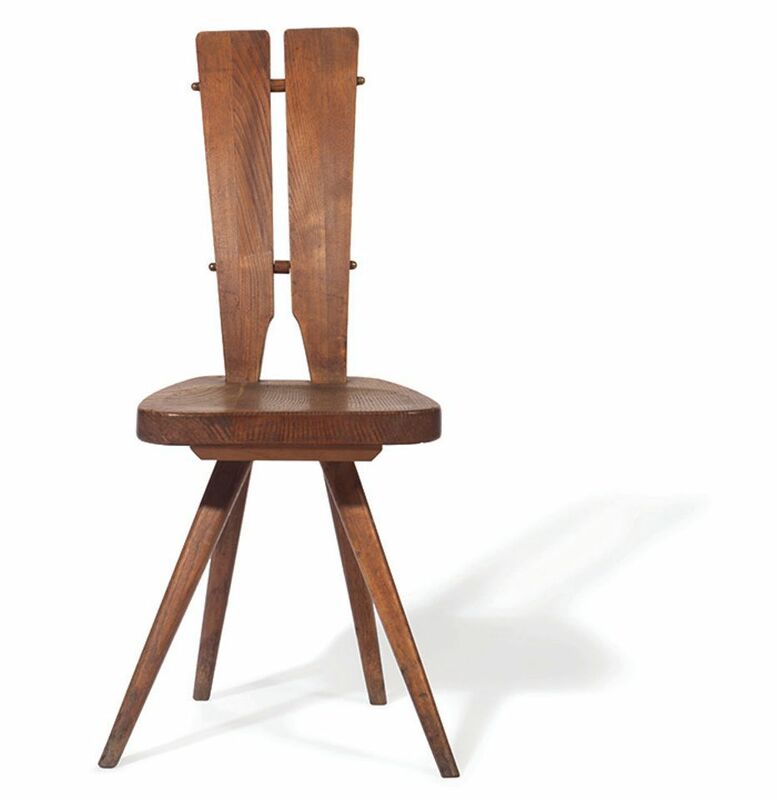 This side chair by Carlo Mollino (1905-1973) was designed by the Italian architect and designer in 1953 for the Casa del Sole, which he designed himself in the ski resort of Cervinia (est $30,000-$50,000). 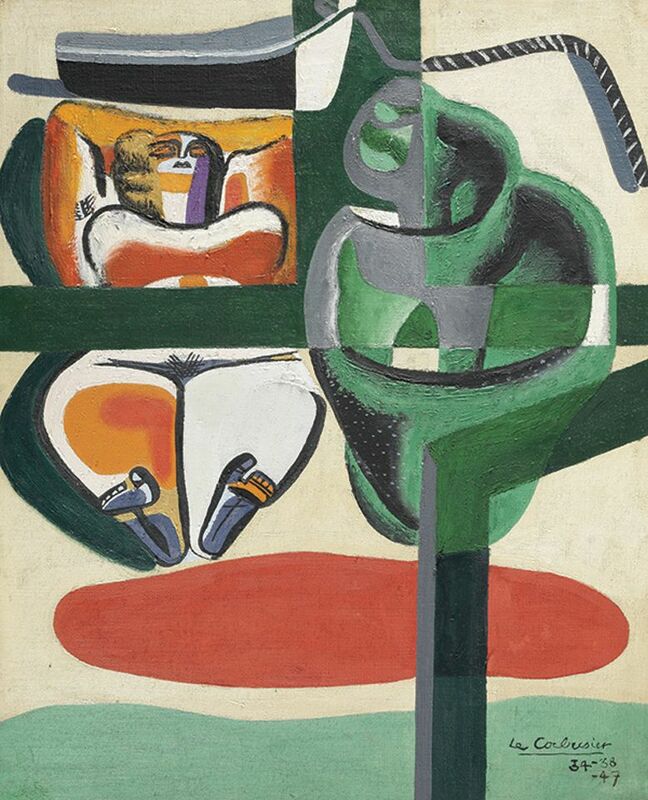 For London’s spring series of Impressionist and Modern art sales, Bonhams has consigned a painting by Le Corbusier (1887-1965), coming to auction for the first time. Baigneuse, Barque et Coquillage was bought by the vendor directly from the estate of the Swiss-French artist, designer and architect. The painting is more sensual than the spartan, hard-edged aesthetic seen in Corbusier’s utilitarian architecture. Here, the pared-back forms of Purism, the movement founded by Le Corbusier that reached its apex in the 1920s, loosen into something more organic. Painted between 1934 and 1947, Baigneuse, Barque et Coquillage embodies the artist’s interest in Arcadian ideals, exploring the relationship between man and nature. India Phillips, Bonhams’ head of Modern and Impressionist art, says the work “highlights Le Corbusier’s ability to transition between architecture, classicism and avant-garde ideas” (est £1.4m-$1.8m).